November 1957: As Communism spreads across Eastern Europe, strange events are beginning to upend daily life in Baia Luna, a tiny village nestled at the foot of the Carpathian Mountains. As the Soviets race to reach the moon and Sputnik soars overhead, fifteen-year-old Pavel Botev attends the small village school with the other children. Their sole teacher, the mysterious and once beautiful Angela Barbulescu, was sent by the Ministry of Education, and while it is suspected that she has lived a highly cultured life, much of her past remains hidden. But one day, after asking Pavel to help hang a photo of the new party secretary, she whispers a startling directive in his ear: “Send this man straight to hell! Exterminate him!” By the next morning, she has disappeared. With little more to go on than the gossip and rumors swirling through his grandfather Ilja’s tavern, Pavel finds curiosity overcoming his fear when suddenly the village’s sacred Madonna statue is stolen and the priest Johannes Baptiste is found brutally murdered in the rectory. 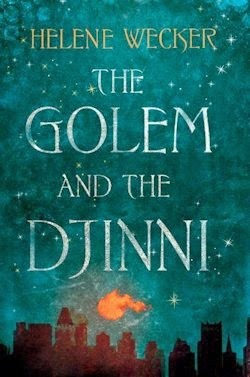 Aided by the Gypsy girl Buba and her eccentric uncle, Dimitru Gabor, Pavel’s search for answers leads him far from the innocent concerns of childhood and into the frontiers of a new world, changing his life forever. But not for long. On the contrary, a time of great change awaits. It's November 1957, and the fictitious nation of Transmontania is about to be sucked whole-hog into the socialist bloc. Communism is of course on the cards, and whomsoever stands in the way of the Conjucator shall surely be squashed. 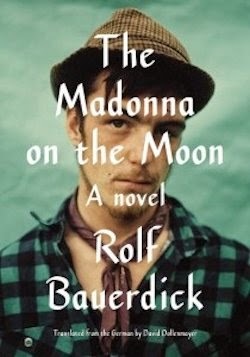 "About to turn sixteen [and] stuck in a swamp halfway between a boy and a man," (p.78) Pavel Botev has more immediate problems to attend to at the outset of The Madonna on the Moon, the first novel by Rolf Bauerdick, an award-winning German photojournalist. Raised by his aunt and his grandfather, a "formerly commonsensical" (p.325) sort convinced that the body of the Virgin Mary is on the moon, Pavel becomes caught up in a bizarre conspiracy which will dog him to the end of an era that has hardly started. More than half of The Madonna on the Moon has passed before this actually occurs, but it's a smart move to pave the way for this peculiar plot in the prologue. Without it, the beginning of Bauerdick's exuberant book would be that much more mundane, whereas with it, we wonder what the seeming suicide of Pavel's distressingly drunk teacher could have to do with the Catholic Church, whilst considering the deeper meaning of the disappearance of parish priest Johannes Baptiste. Narrative addicts that we are, we attempt to link this fact to that, imbuing everyday events with a sort of supernatural significance. 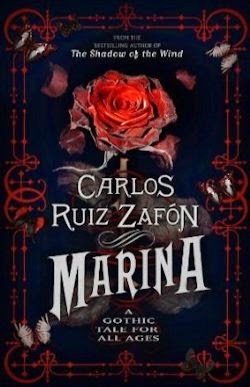 In the early going The Madonna on the Moon rather resembles a novel by Carlos Ruiz Zafon: in its protagonist's fascination with enigmatic matters and its impeccable sense of setting. The colour and culture of Baia Luna is simply brilliant, and Transmontania too rings at times tragically true. Last but not least, the larger than life characters populating the tale are an absolute riot, particularly Dimitru and the late parish priest. 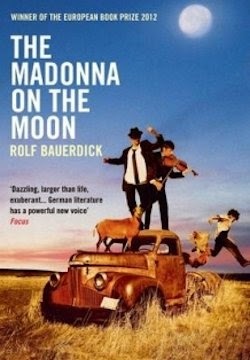 In short, what was charming about the book in the beginning becomes increasingly cloying as The Madonna and the Moon goes on, and the resolution, when it arrives, is rushed, rendering much of the foundational fun redundant. I'll grant that there's a certain circularity to it, but the conclusion is contrived, and far too tidy, finally. Books like The Madonna on the Moon — books that pivot on mysteries — are made or broken by the promise that they'll come together wonderfully. Bauerdick's debut doesn't, leaving me in two minds about it, in truth. 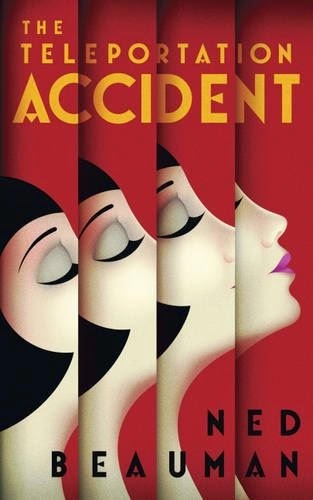 It's pretty much magnificent initially — winningly whimsical, witty and wise, such that I loved half of this book wholeheartedly — but the laborious last act left me feeling disheartened rather than outsmarted.